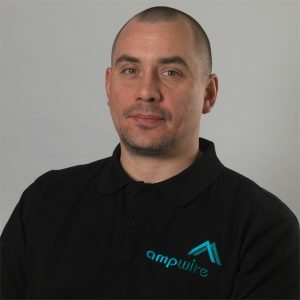 Work: I have worked at AMP Wire since 1996. I am the Works Manager and I look after the factory floor. I am a trained ISO internal auditor and have IOSH certification. I work closely with the MD and Production Manager in product development and I am also part of the survey and installation team. The most enjoyable part of my job is watching apprentices progress to skilled fabricators, as it’s how I started. Play: I am a family man and enjoy having days out and holidays. I also like to socialise with friends and enjoy watching various sports such as F1, football, rugby and cricket.